It can be redeveloped into a five-storey boutique development. 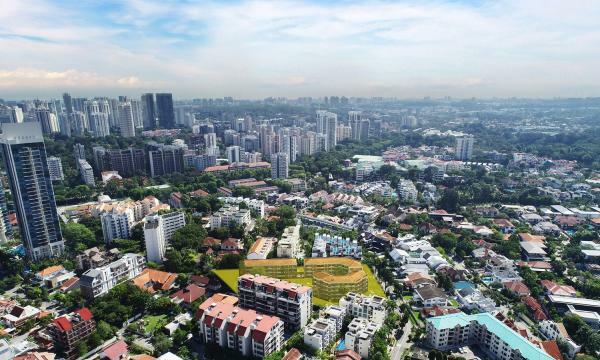 Gilstead Court, an en bloc sale site along Gilstead Road, has just been launched for sale by tender at an asking price of $168m, its marketing agent JLL revealed. According to an announcement, Gilstead Court comprises 24 apartments of 129 sqm each and 24 apartments of 136 sqm each, totalling 48 units in three four-storey apartment blocks. More than 80% of the owners have consented to the en bloc sale. Under the 2014 Master Plan, the 75,479 sqft site is zoned 'Residential' with a gross plot ratio of 1.4. It may be redeveloped to accommodate a five-storey boutique development. It is just a 250-metre walk to the Novena MRT Station. It is near Health City Novena, shopping amenities, and eateries as well as the Newton Circus Food Centre. Schools within 1 km of Gilstead Court include St Joseph's Primary Institution (Junior), Anglo-Chinese School (Junior), and Anglo- Chinese School (Baker). "For developers looking for a boutique site to build a prime residential project, the District 11 Gilstead Court with proximity to good schools, ample amenities and excellent connectivity would be a good investment choice," added JLL regional director Tan Hong Boon. The tender for Gilstead Court closes on Tuesday, 10 July 2018 at 2:30 p.m.